Meet Emily. I took her along on my recent press trip to Dusseldorf to try the wine on my behalf (it’s a hard job, but someone has to do it!) and share my cupcakes with. Okay… so the last part may have been a lie. But the last couple of months would have been much less fun without her and we wouldn’t have this fantastic post from her. 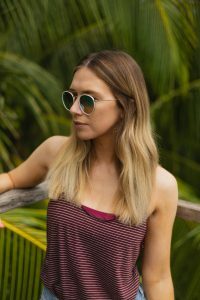 Go follow her blog for more travel adventures in food and other fun, as well as a healthy dose of our home town: London. 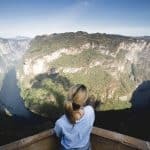 No matter where in the world you go these days it’s likely that you’ll stumble across a few interactive food experiences, the new dining trend taking the restaurant industry by storm. 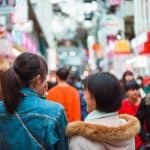 For many, it’s no longer enough to simply be served and eat what we pay for, but instead we would rather take part in the preparation or combine the food and drink with other unique experiences. And Dusseldorf is no exception to this new trend! When you think about gin tasting, Dusseldorf probably isn’t the first city which comes to mind; however, a visit to the Schmittman Distillery will certainly change your mind on that. Founded back in 1818, the Schmittman Distillery is a family-owned company which has been distilling spirits in Dusseldorf for 200 years. The company is now run by sisters Sonja and Vera Schmittmann who are continuing their family’s legacy and growing the company to new heights, with a product list now including Dusseldorf gin, kornbrand, grains and liqueurs. As well as their iconic 1818 dry gin, make sure to also try their award-winning cherry liqueur, hazelnut liquor (tastes like Nutella) and the hard-hitting chocolate-chilli liquor. Filipino food is a type of cuisine that many people are unlikely to have tried before, let alone tried their hand at cooking. And I must admit, Dusseldorf certainly wasn’t the place that I thought I’d be giving it a go for the first time either. However, it turns out that Dusseldorf is a city with a huge Asian influence, which is extremely noticeable in the city’s food scene. Maite is a Filipino native who has lived in Dusseldorf for much of her life, working within the food industry. 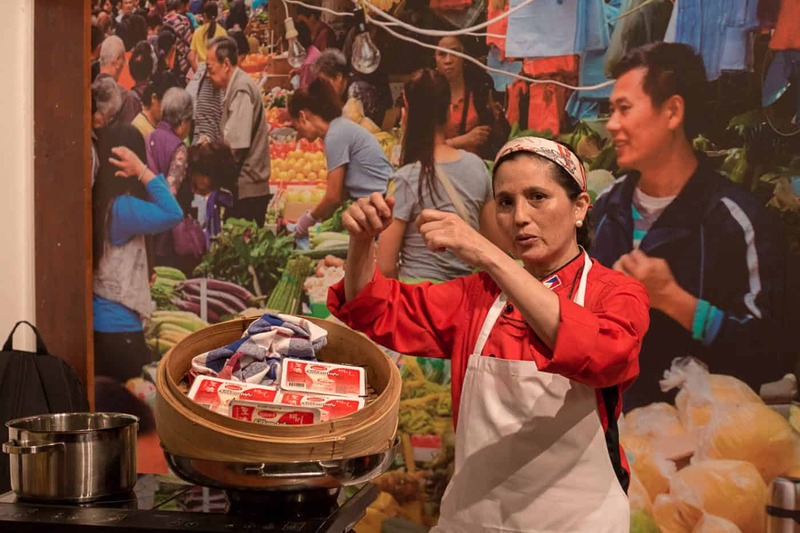 In 2017 she accomplished her dream of opening her very own company ‘Maite’s Fascinating World of Asian Cuisine’ where she teaches a range of Asian cooking classes inside the Tains Mein Asia Market, a popular Asian food market in the city. In her Filipino cooking class, Maite teaches guests how to make interesting dishes such as Chicken Binakol, chicken soup served in a coconut, Adobo flakes on lettuce leaves, and the unique tofu dessert of Taho. After a quick run through of the recipes, Maite will let you loose with the ingredients to prepare the dishes yourself, before sitting down to demolish the lot. 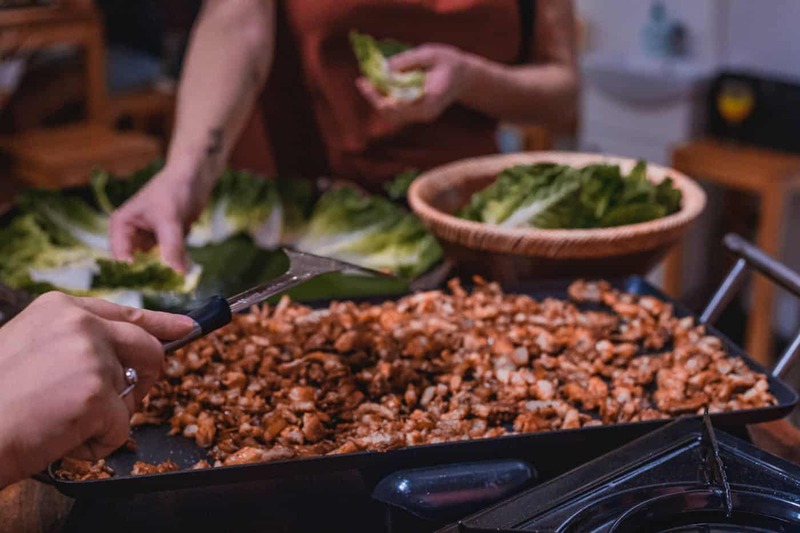 Maite’s Filipino cooking classes are fun, intimate and end in a delicious home-cooked meal, making it one of the best interactive food experiences in Dusseldorf. Following on from the theme of Dusseldorf’s Asian influence, Shennong Lounge is another spot in the city where you can get hands on with an interactive Asian food experience. Shennong Lounge is owned by Justus Hopmann, a local who spent a lot of time exploring the Far East and decided to bring his new found love of the Asian tea culture back to Dusseldorf with him, most notably the Taiwanese tea ceremony which he now teaches inside of his shop in private or group classes. During the tea ceremony Justus takes partially fermented black tea leaves, also known as oolong, and steeps them numerous times in a traditional teapot, pouring each a guest a small bowl of tea between each steeping to sample the gradual change in flavour. 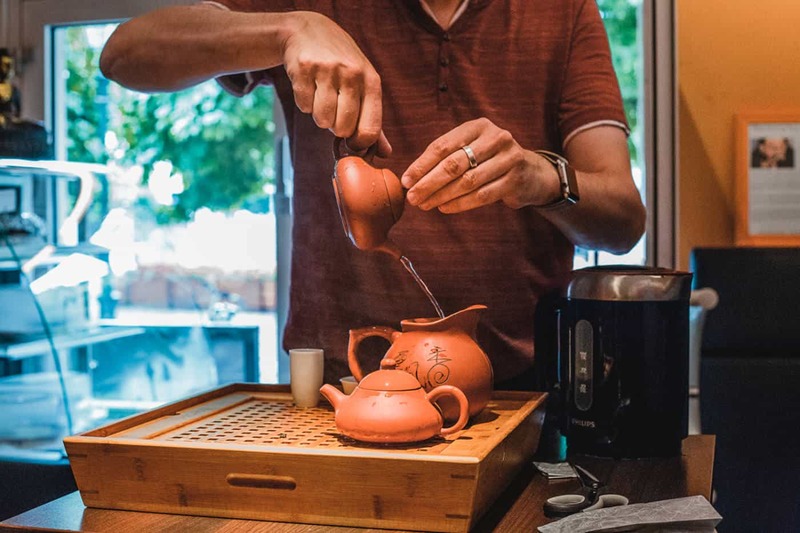 Shennong Lounge is a great place to learn about the ancient art of the Taiwanese tea ceremony, try some rare flavours and simply relax in a calm atmosphere in the city centre. You can also enjoy other Asian delicacies such as soft matcha chocolate to accompany the tea. What could possibly be better than eating cake? How about the satisfaction of eating cake that you have made yourself? 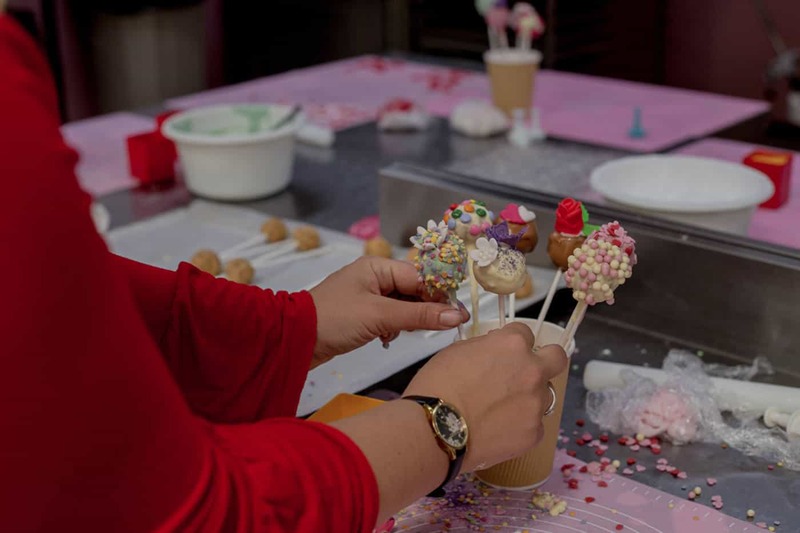 At the Sugarbird Bakery in Dusseldorf you can try your hand at making a rather special style of cake known as cake pops – small balls of intricately decorated sponge perched on top of a stick. As a group, you are guided through the process of making the cake pops from scratch, starting with mixing the dough and rolling it into balls to be baked in the oven and ending with the most fun part: the decoration. 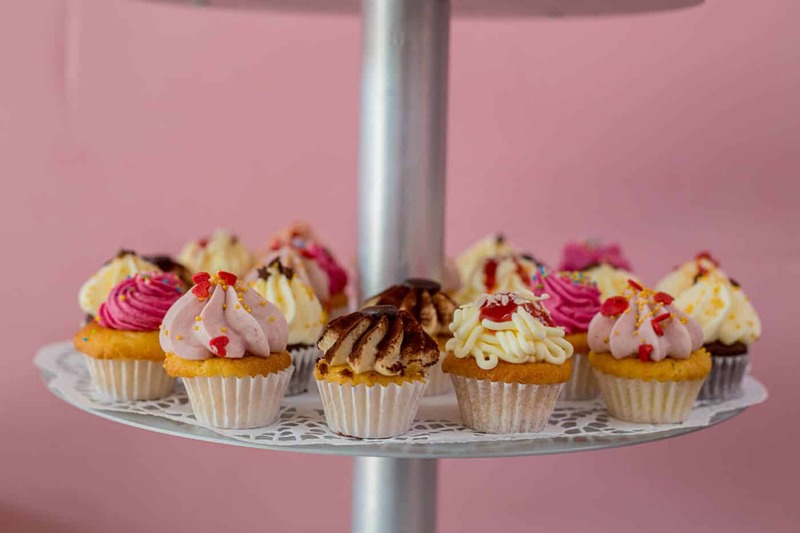 Sugarbird Bakery has everything you could possibly need to make your final creations worthy of the prettiest cake shop, including icing butterflies, love hearts and unicorn horns as well as every colour of edible glitter you could possibly need. Eiskeller is a beautiful wine bar in Dusseldorf’s Old Town, named after the town’s ice cellar that was located underneath the property over 100 years ago. 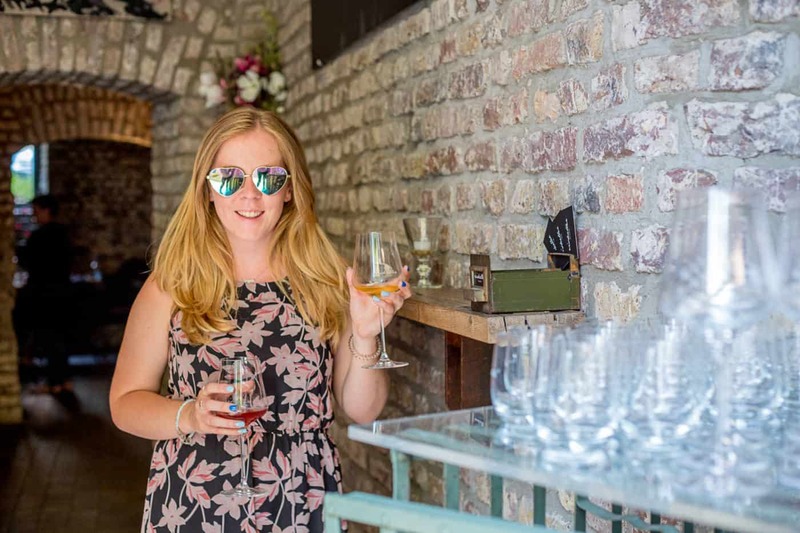 The restored brick vault is now a homely wine bar with a menu of 250 wines carefully chosen by owners Dorina Sill and Klaus Wahlen, who started the bar due to their passion for great wine back in 2015. Within a couple of years, Eiskeller became a Dusseldorf hotspot and was even awarded the accolade of the best classic wine bar in Germany in 2017. The bar is located in-between the art academy and the city’s museum street, creating a link between Dusseldorf’s art, culture and history. Artists from the academy create unique decor for the bar, adding to the cool atmosphere and, in Dorina’s words, creating ‘the special feeling you get when you drink surrounded by colourful art’. The wine itself is handpicked by Dorina and Klaus, with a focus on biological wines and wines from small producers. The duo run wine tastings at the bar where guests are run through a section of their favourite wines, learning about the history and origin of the grapes along with an examination of the individual flavours and the reason behind the variations. 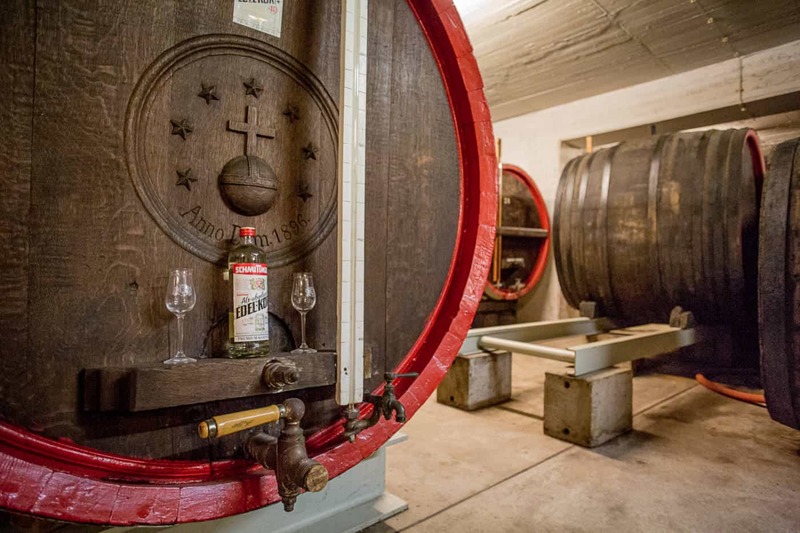 Being the national grape of Germany, Rieslings take centre stage at the tasting; however, Eiskeller also has a host of great wines from all across the world. 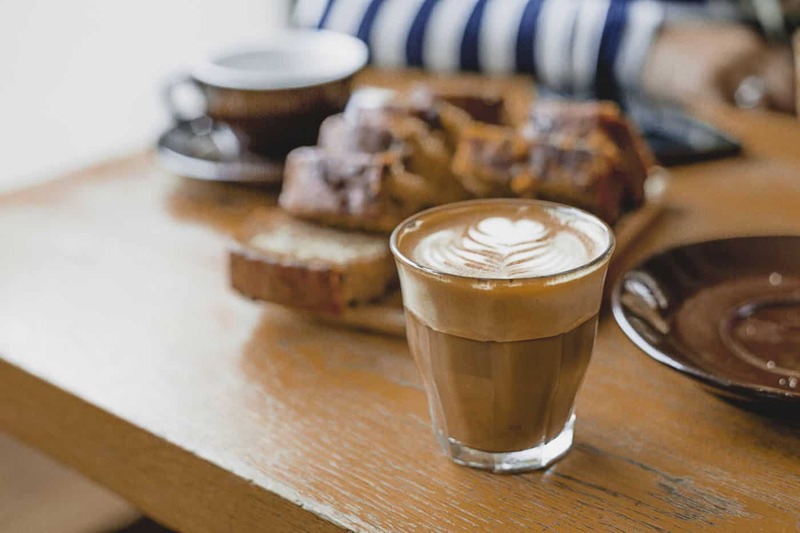 For many people, drinking coffee is a daily activity to which they don’t give much thought or special attention. 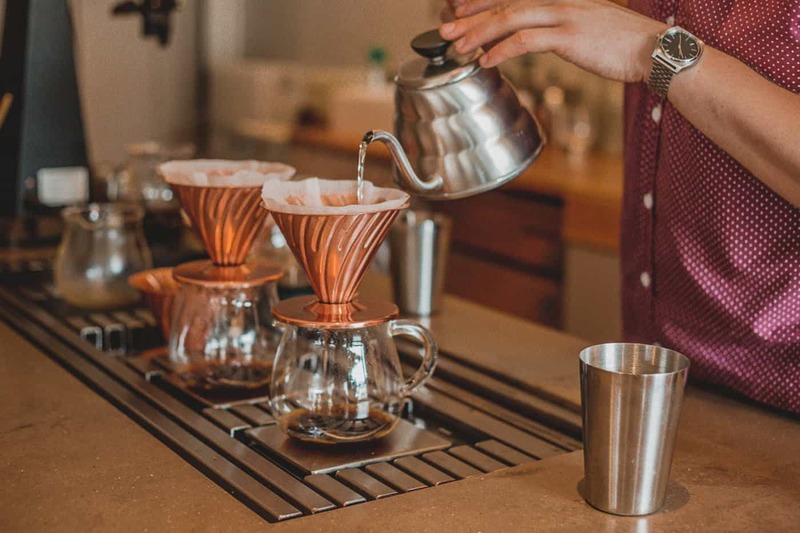 You head to your local chain coffee shop and order your coffee of choice without any consideration of the origin of the beans or the roasting process which resulted in that little cup in front of you. However, Rösterei VIER in Dusseldorf is a coffee shop where they take their coffee very seriously. In the interactive coffee tasting experience at Rösterei VIER, you can learn all about the coffee making process with a coffee expert, from learning about the people who grow the beans to the in-house techniques of roasting and brewing. Then, once you’ve learnt the basics ,you can smell, slurp and sip your way to becoming a proper coffee connoisseur. Plus don’t forget to try a slice of their delicious banana bread to accompany your coffee. Finally, another great interactive food experience for those with a sweet tooth – building your own fro-yo at Natsu. Continuing the Asian cuisine theme, Natsu is Dusseldorf’s first Japanese fast food lunch spot catering to the German market. Inspired by British sushi bars, Natsu serves a selection of sushi boxes, wraps and snack boxes for locals to grab on their lunch break. Then for those who have time to stick around for dessert, Matsu have partnered up with local frozen yoghurt company Yomaro to have an in-house fro-yo station where guests can create their own edible masterpieces. Choose between vanilla and matcha green tea fro-yo, then cover it in a selection of toppings including Oreo, Kinder, KitKat and hazelnut, finished off with a big dollop of chocolate sauce. Related read: Hungry to learn more about the foodie side of Dusseldorf? Even if you’re not, you might just be surprised by Dusseldorf’s eclectic culinary scene.